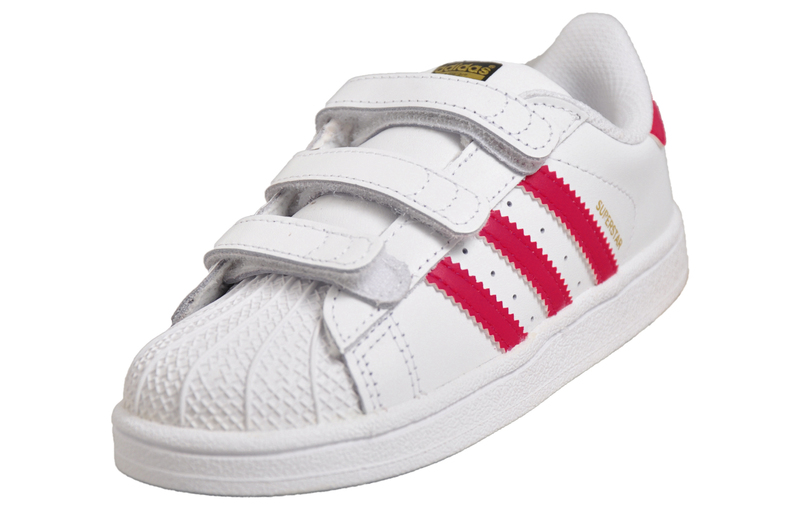 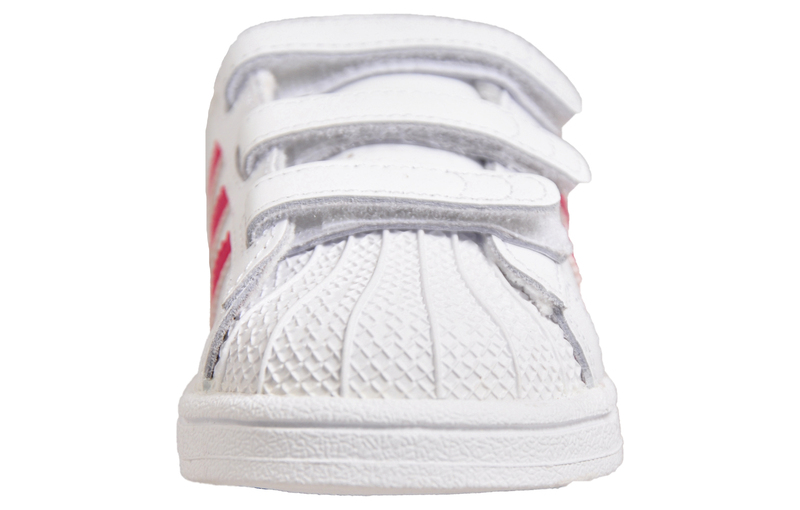 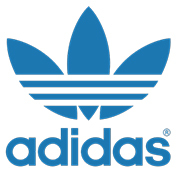 Add some vintage charm to your little one’s casual attire with these Adidas Originals Superstar trainers! 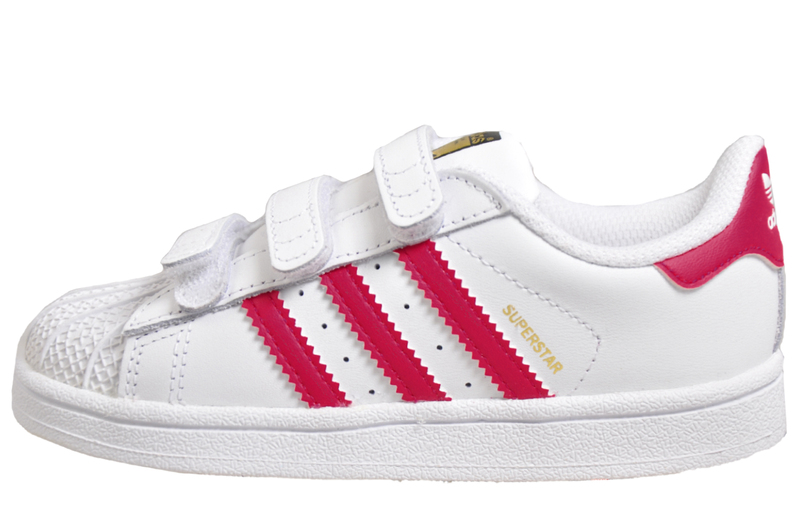 A reimagining of a classic 80s trainer, back and better than ever with a miniature silhouette for your little one. 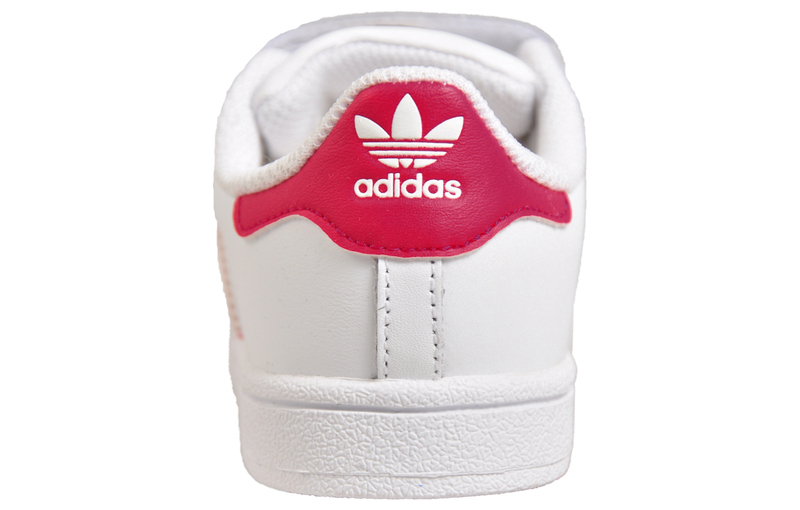 Crafted from premium leather, with a white construction complimented by purple adidas branding to the side and heel that will complement any choice of casual attire. 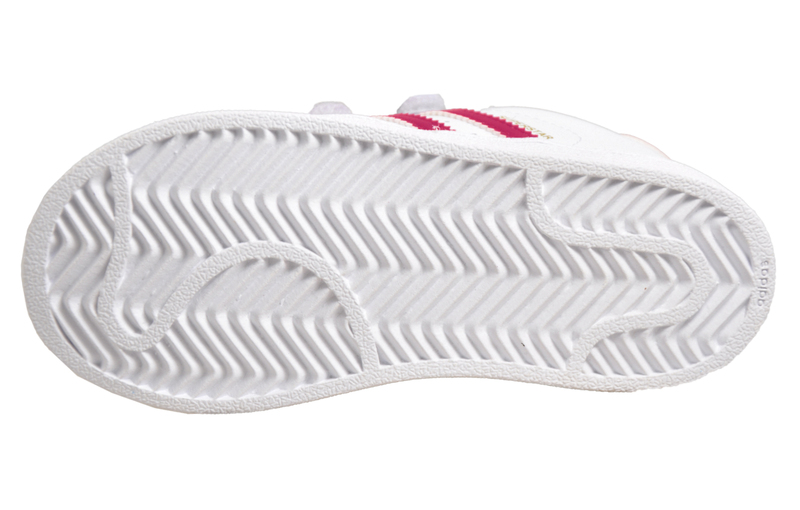 Complete with a pattern gripped outsole for added grip during those early steps.